Larry King was for decades one of America's most popular talk show hosts, first on local radio, then nationally syndicated radio, and for decades Larry King Live aired live in prime time on TV's CNN. His parents were Russian immigrants, and he grew up in Brooklyn, where Sandy Koufax was a childhood chum. He started working as a janitor and gopher at a Miami Beach radio station in 1957, and first went on the air when one of their announcers quit without notice. 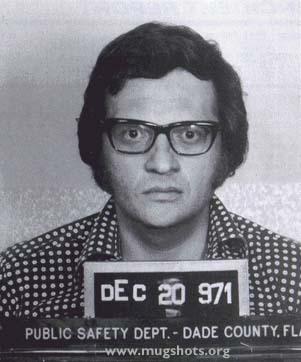 In 1971, he was arrested for grand larceny, and pleaded no contest to passing a bad check. The particulars remain muddled and unproven, but it's alleged that King tried to sell his influence with Richard M. Nixon's attorney general John Mitchell to a convicted stock swindler named Louis Wolfson. After these odd events he was off the air for a few years, and worked as an announcer at a race track. In 1978, he started his nationally syndicated Larry King Show on Mutual Radio, and in 1985 he joined CNN, with a similar format of yakking with celebrities and newsmakers, then taking calls from the public. On the air, he wore suspenders and black-rimmed glasses, and always came across as a nice guy. King preferred to ask what he called "human questions", not "press-conference questions", and characterized himself as an "interviewer", not a journalist. He often explained that he did not prepare for interviews, though that was obvious to viewers. Not preparing, he said, led him to ask more "honest" questions — fine when he was interviewing Kirsten Dunst or Stephen King, but a rather tedious disservice when interviewing politicians and policymakers, who knew the questions would be softball. In 2001, announcing that the column would be discontinued, a USA Today press release explained that they wanted the paper to be "trendier, newsier and to have greater impact than it has now". He stepped down from his CNN post in 2010, after 25 years on television. At last count, King had five children from his seven marriages to six women.